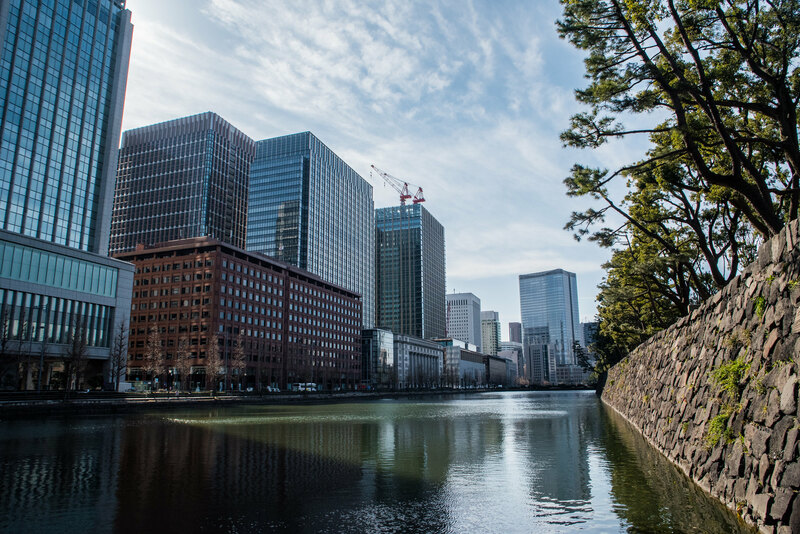 One of out many stops around Tokyo was the Imperial Palace grounds, located near to Tokyo Station. 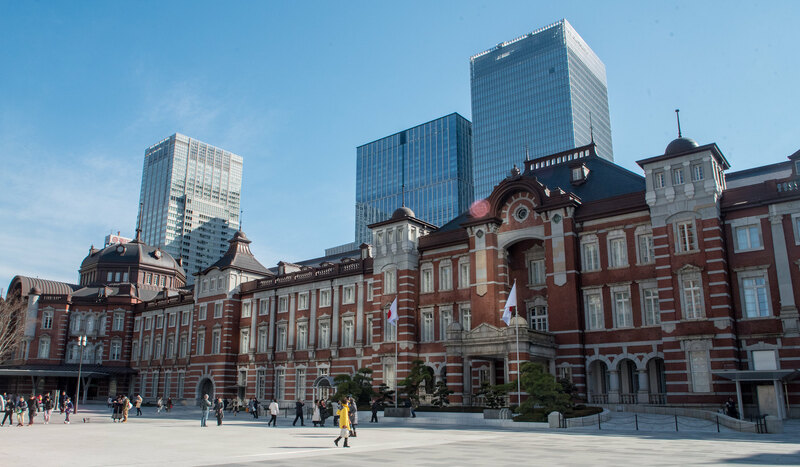 The station is in Chiyoda’s Marunouchi business district, and is considered a popular tourist spot in the city. Almost half a million people use this station daily, and it is quite huge. The building stands out from its surroundings quite a bit with its (what I would consider) Western style. 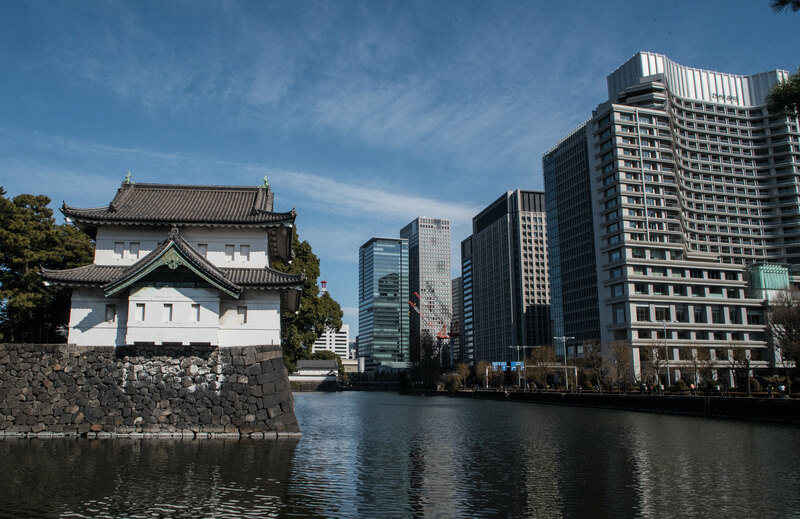 The grounds of the Imperial Palace are a short walk from the station. Unfortunately the Palace is only open a couple of days a day: 2nd January (for New Year) and 23rd December (the Emperor’s birthday). As our visit coincided with neither of these days, we were relegated to the palace grounds (known as Kokyo Gaien). The palace grounds strike a stark contrast with the surround city. Crossing a mote to enter the grounds marks the edge of the urban jungle, seemingly pushing you backwards through time. The expansive grounds, said to be worth more than the combined real estate in the entirety of California, is sparsely populated with trees alongside gravel roads. Interestingly, we saw a lot of people jogging here. In England it is common place to see joggers everywhere urban, on the streets of cities as well as in the parks. In Japan it seems, joggers stick to the parks. 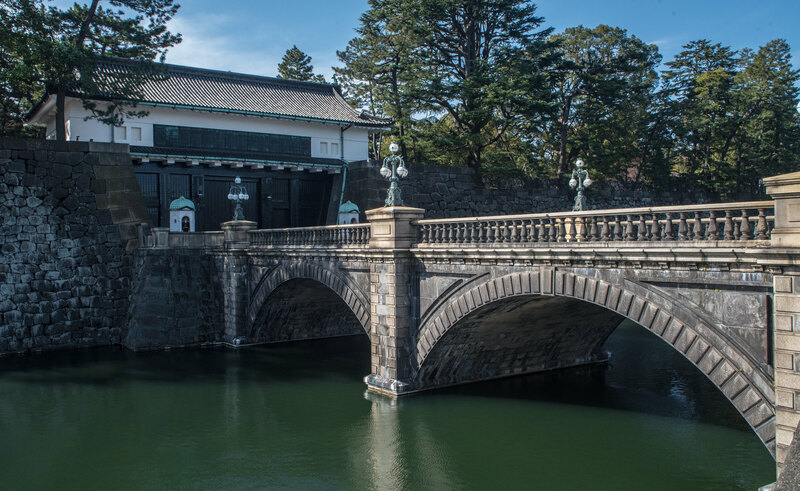 As it turns out, you cannot really see the Imperial Palace from the grounds; it is elevated, and hidden well by trees and walls. The Palace building itself is relatively modern in style, having to be rebuilt after bombings during World War Two. One of the main attractions of the location is the Meganebashi Bridge, meaning Eyeglass Bridge, so called because of its appearance. There were also a couple of old-style buildings of interest alongside the border walls. It would be very interesting to see inside the inner grounds in the future. For the rest of the year, in my opinion the location is nothing to write home about (just to the internet, apparently). Previous Post What is my katabasis?